This news has been coming for quite a while but judging by some reaction to this mandating of Cyber Essentials, it appears to have caught some by surprise. What exactly has been mandated? The introduction of Cyber Essentials comes as a precursor to the forthcoming Cyber Security Defence Model (CSM). For full details see the Tech UK website. Why we support the move? 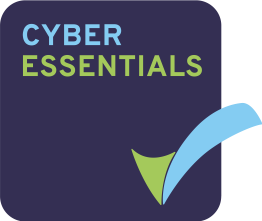 As the name implies, Cyber Essentials is just about the essentials, and for most organisations it should really be a matter of good housekeeping. The Scheme is designed so that organisations can take a Do-It-Yourself approach, but you can alternatively seek external consultancy support if needed. The five controls in the Scheme should not be too taxing to achieve. For those organisations yet to achieve Cyber Essentials, a good starting point would be to undertake a simple gap analysis of what they do currently; whether this meets the criteria; and if not, identify and implement what they need to change to satisfy the requirements. One of the ironies of the relatively low-take up of the Cyber Essentials Scheme to this point is, perhaps, a perception that as the bar is set relatively low to achieve the standard, it therefore has less value. However, reports are that in the first year of its existence almost half of those applying for the scheme were unsuccessful. The Scheme encourages devolved responsibility to appropriate parties within the organisation – following the old mantra that cyber security is not someone’s responsibility it is everyone’s! Nexor has been a long-time supporter of the Cyber Essentials Scheme, as we see the benefits to both individual organisations and within the industry as a whole. We facilitated the very first consultation of the draft Scheme at one of our IISP regional forums. When the Scheme was introduced in June 2014, Nexor was one of the first organisations to successfully achieve Cyber Essentials, so we blogged about our experiences of going through the certification process to share with others what we had learnt. Then a year ago we helped spread the word by making Cyber Essentials the topic of a very well attended evening at our East Midlands Cyber Security Forum. What impact will Cyber Essentials have on your organisation? If you are a UK supplier, quite simply you must get your organisation certified – end of discussion! The requirement is only going to become more and more pressing for the survival of your business. Whilst the UK MOD has made it mandatory across all its relevant contracts, it is only a matter of time surely before this approach is adopted by other UK Government departments and agencies. We are already seeing the increasing requirement on a contract by contract basis, not only for ourselves, but for our own supply chain too. For those outside the UK: suppliers should definitely consider getting the standard if they want to partake in the UK market; end-users should look upon the UK as a leader in tackling cyber security across the board and feel safer doing business with suppliers who hold Cyber Essentials certification. So don’t delay, start your journey now! Find out more about the Cyber Essentials Scheme. ← Why is my Password Too Long? Irene Dovey is the Head of Business Improvement at Nexor helping to deliver trusted information exchange solutions to governments, defence and critical national infrastructure organisations.